This preserve is fresh and leaves a subtle taste of rose. Peach 58 %, cane sugar 41 %, natural flavor of rose 0.58 %, concentrated lemon juice, gelling agent: fruit pectin. Perfect topping to enhance crepes, waffle, pastry, toast, yogurt or even to top the bottom of a pie. 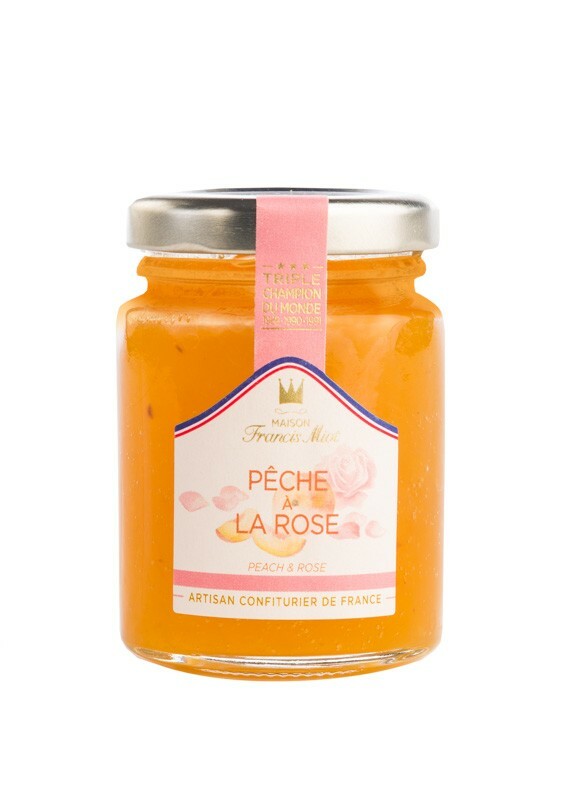 As a dessert or for breakfast, this exceptional fruit preserve will take you on a flowery journey of fruity freshness. 4 years from date of manufacture. Size (in): L 9.45 " x W 7.68 " x H 3.35 "